This series exemplifies the world of nonobjective art. Sometimes this is spoken of as nonfigurative. There are no recognizable objects or figures. What remains is arrangement, color, and form. 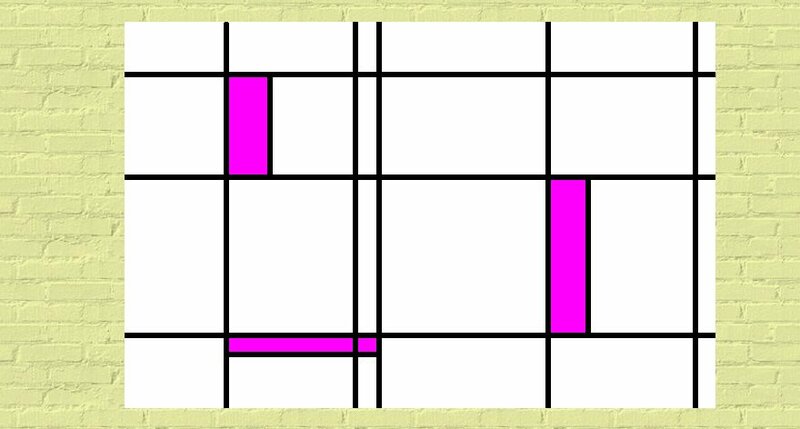 The form in Money's painting is only of the rectangle. 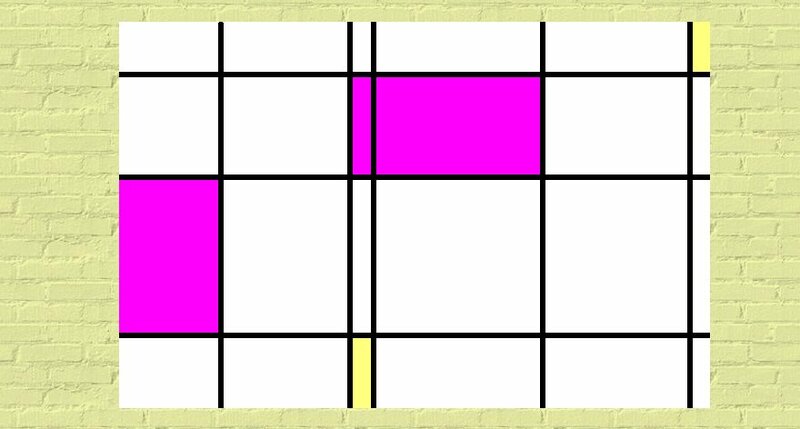 That same rectangle is shown in this painting to define the bounds of color. Such a nonfigurative painting series seems pointless and puzzling to an average person. We, nevertheless, must look beyond our initial misgivings when we encounter an artist as Money who has demonstrated superb capabilities in more conventional art endeavors. There is something to be said for an artist who carves out his own distinct niche in the world of modern art. 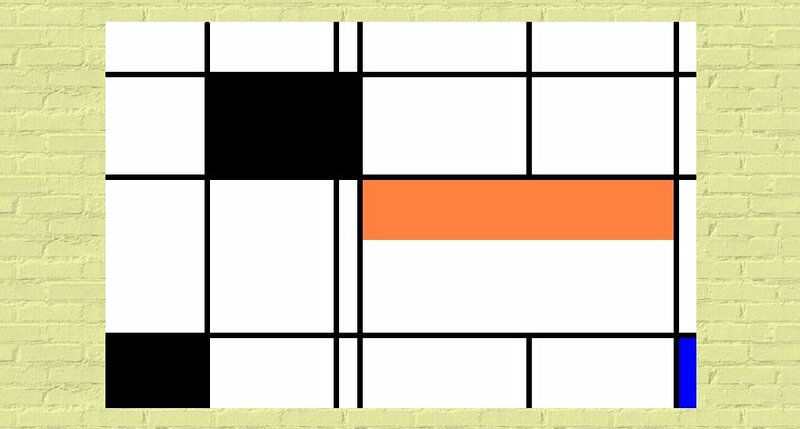 Rythm of Color 4 is valued for its elegance, balance, simplicity, and emotional rhythm. In Rythm of Color 5, Money ventures into the interplay of color with color. The resulting dynamism is more between color and color than that between color and line. Some would argue that if to be truly abstract, it should be completely so without any connection to the world of the visibly real. It is one thing to partially abstract. If we accept that abstraction is an attempt at distortion of a form to achieve emotional impact, why not distortion to the extent that an object is completely unrecognizable as an object in our common experience. It is not so much a question of the distortion as a question as to the amount. One then is free to experience directly the color, arrangement and form of the opus without extraneous associations. In short, one is free to experience the rhythm. Painted in the same year as Rhythm of Color 5, Rythm of Color 6 explores relationships in a smaller range of coloration but with an expanded intensity and contrast. Here placement becomes crucial. 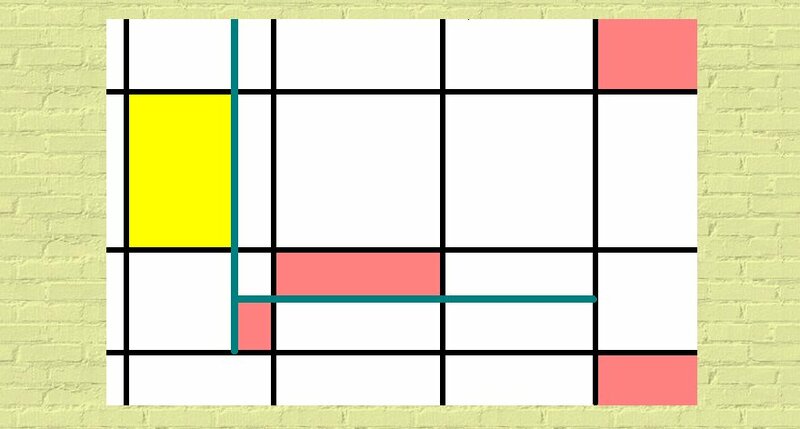 Some would ask why a work comprised only of black lines and colored rectangles should be judged an artwork. A swimming pool is not diminished in its importance, impact, or function because it is composed only of concrete and water. In a like manner it is the experience in its totality that should be, and indeed has become, the criterion of judgement. If we are to be honest, all the paintings of past centuries have been composed of lines and color. Money has merely expanded abstraction to its fullest extent. 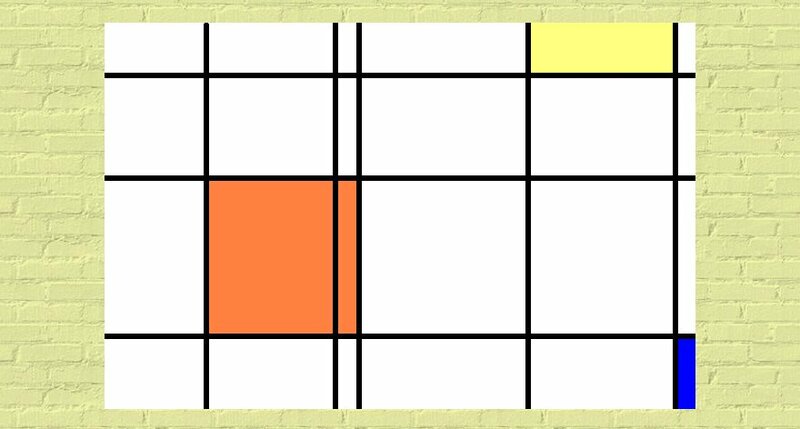 In this opus, Money returns to an earlier single color exploration. The painting looks flat because a third dimension in a painting is an addition of concept and association. His form is universal in part because their is no suggestion of depth. While satisfying in their own right, the layman finds fault with these representations because the very nature of their abstraction removes them from the comfortable representations of conventional art. 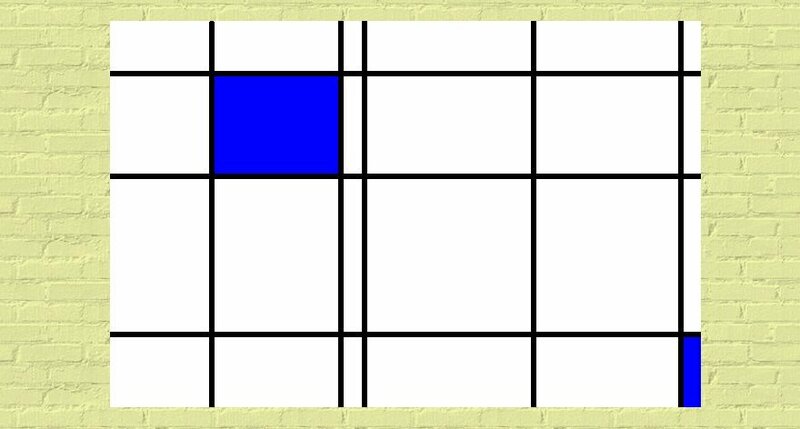 Here we see for the first time in Rhythm of Color 8, a separation of color from a form which contains it. The painting is at once both startling and releasing. The painting often evokes controversy in the art world. Some would argue that to release color from the bounds of form is like a discordant chord on a piano. To some the work seems discordant and unbalanced. Although included in this series the work is shunned by the art community. The lack of balance and visual resolution is troubling to many. For others, this discordant note is the very reason for its unique charm. Only after years of working in the world of abstracted form, figure and arrangement was Money ready for the spectacular juxtaposition of color, size, placement and balance required in Rhythm of Color 9. The rhythm is of such intensity, with such a heightened interplay of pure colored essence, that few can enjoy the work for long periods of time at one setting. This may be the reason that this work is less favored as a poster to be found in ones home.